Randy Blythe, singer with metal band Lamb of God has been arrested in Prague over the death of a fan at a gig in the Czech Republic two years ago. It is understood that Randy Blythe, 44, was detained at Prague airport on Wednesday, forcing the band to cancel a live appearance the following night. The 19-year-old fan died 14 days after allegedly being pushed from the stage by Randy Blythe at a gig in 2010. It has been reported that the singer has now been released from custody. Lamb of God’s record label are understood to be releasing a statement on Monday. 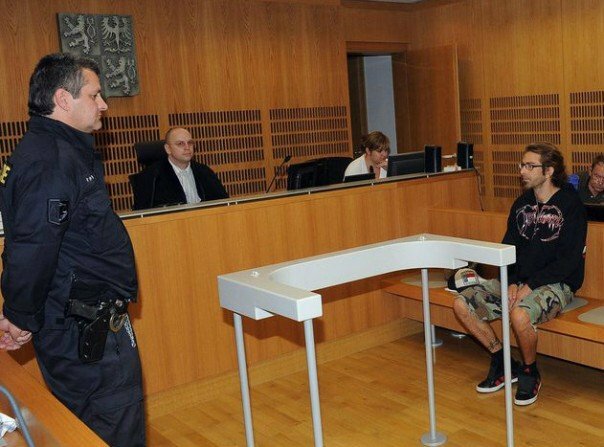 Randy Blythe’s arrest stems back to the death of a fan who attempted to climb on stage during a concert at Prague’s club Abaton on 24 May 2010. According to reports, the fan had repeatedly tried to climb onto the stage before allegedly being pushed by Randy Blythe and hitting the concrete floor. He died 14 days later of his injuries, said Czech TV station TV Nova. A post-mortem examination reportedly found that he had not been drunk or under the influence of drugs. Lamb of God formed in Virginia in 1990 and, in 2007, received a Grammy nomination for their album Sacrament.